Electra Mining Africa exhibitor Advanced Fire Suppression Technologies (Advanced FST), in conjunction with Pietermaritzburg-based Rural Metro Emergency Management Services, has rolled out a learnership programme that sees participants gain a certificate in fire rescue operations on completion. 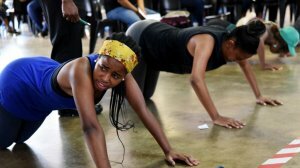 The learnership, which is open to young people not in education, employment or training, involves six months of theory and practical training at the Rural Metro Training Academy in Greytown, KwaZulu-Natal, followed by a further six months of experiential learning at Rural Metro fire stations across the country. On completion, learners will be nationally certified by the Local Government Sector Education Training Authority (LGSETA) and will have gained a further education training certificate for fire rescue operations. Advanced FST has partnered with Rural Metro, which is accredited with the LGSETA for learnerships and various skills programmes, to roll out the learnerships. The learnership programme forms part of Advanced FST’s socioeconomic development initiatives, which focus on education, youth, women development and environmental sustainability. Over the past ten years, the company has successfully rolled out learnerships and skills programmes, partnering with municipalities, State entities and industry to achieve their performance targets, upskill their current workforce, promote employability for unemployed beneficiaries and ensure compliance in respect of Occupational, Health and Safety legislation. Advanced FST supplies global firefighting detection and suppression systems to the mining and construction industries.